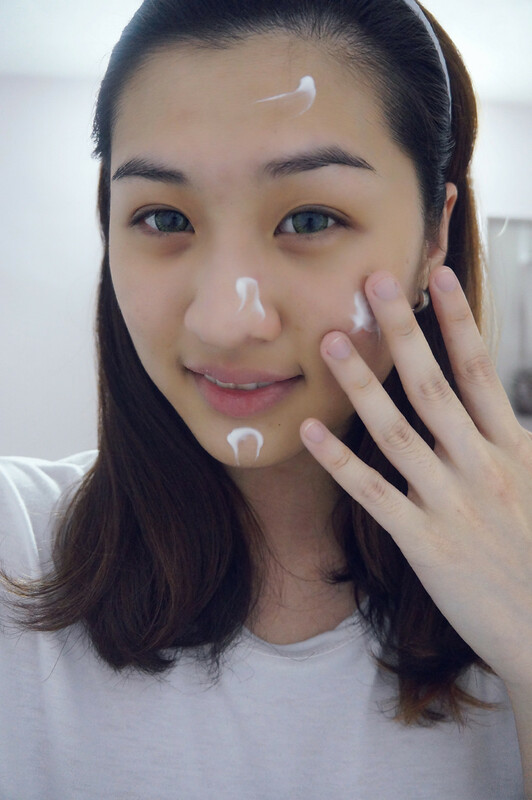 Choosing a right moisturizer that suits my taste is relatively hard. I'm having sensitive skin and the cheek area is dehydrated. I've been searching for a moisturizer that doesn't leave a greasy or sticky feeling after the application. Most importantly, I need to feed my skin a lot of water. Hydration is my main priority in searching for a moisturizer. 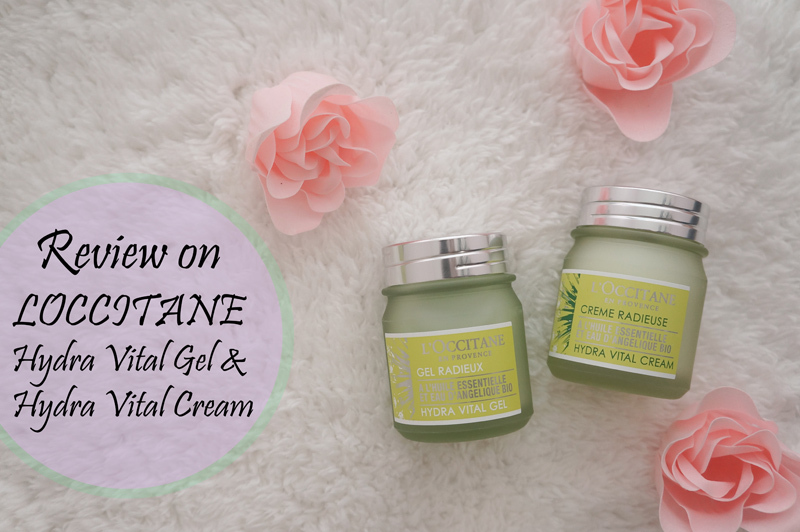 Just when I'm going to finish the current moisturizer, I'm feeling grateful for receiving two new new products from L'OCCITANE. Thanks to The Butterfly Project for the review campaign and I'm able to treat my skin properly with two decent moisturizers. 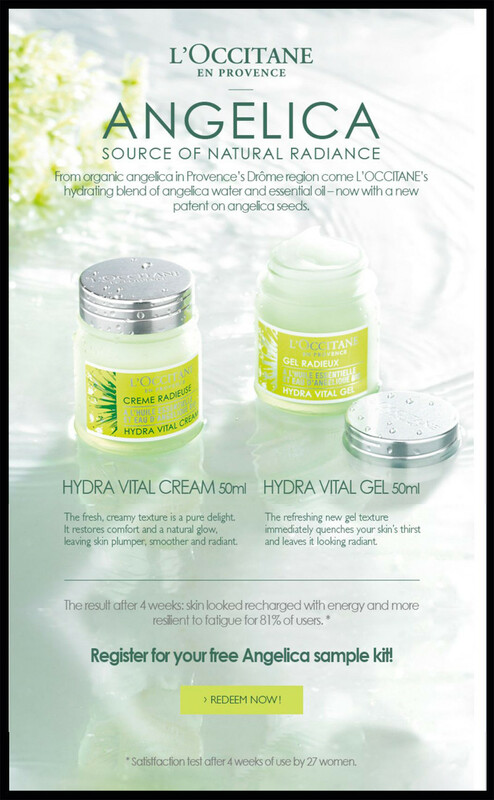 L'OCCITANE introduced two new products from the Angelica Range: Hydra Vital Cream and Hydra Vital Gel. Hydra Vital Cream is reformulated with angelica seed extracts while Hydra Vital Gel is a newly launched product for those who prefer cold gel texture. L'OCCITANE uses two essential patents in the Angelica range of products. Both patents aim to deliver the exceptional moisturizing power from the Angelica plant. This innovative patents filed by L'OCCITANE Botanical Expertise Laboratory to make the skin looks more radiant, smooth and plump while providing long lasting hydration to the skin. 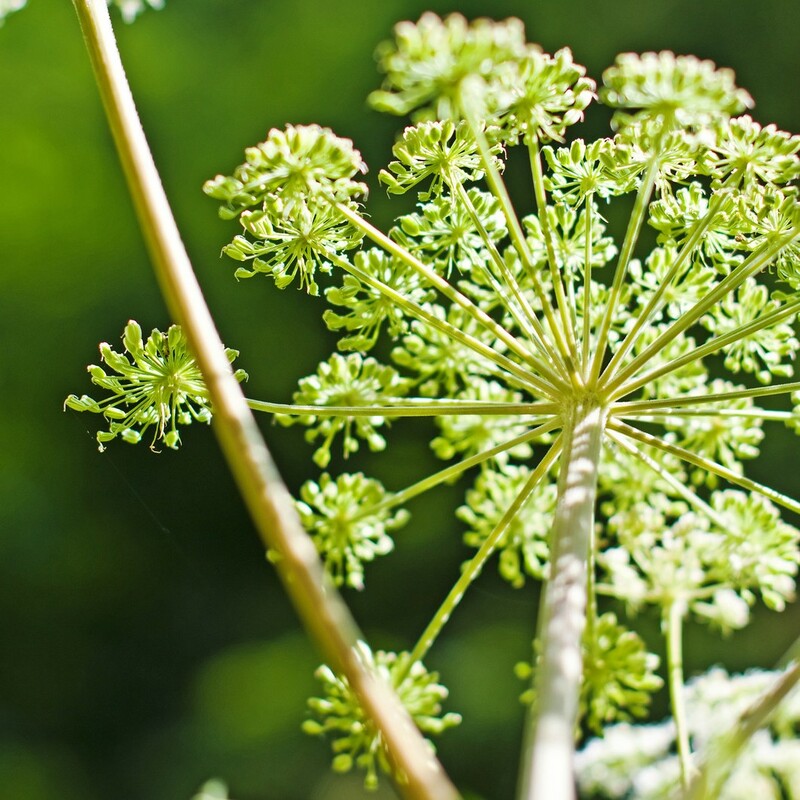 Organic angelica essential oil helps protect skin against free radicals and improves the elasticity of skin fibers. In 2014, it is glad to know that L'OCCITANE Botanical Expertise Laboratory patented the exceptional moisturizing power of angelica seeds. The extracts derived from the angelica seeds stimulate the production of versican. Versican has a regulating function that ensures a long-lasting and a balanced level of hydration. Angelica Seeds boasts vitality and growth. It can reach a height of almost two metres in just a few days due to its exceptional capacity of self-hydration. Organic Angelica from the Drôme Region has hydrating and revitalizing properties and been selected by L’OCCITANE for its moisturizing range. Restores comfort and a natural glow, leaving skin plumper, smoother and radiant. After 28 days of use, skin feels protected against environmental stresses and smoother. Envelops skin in freshness and restores radiance and vitality all day long. 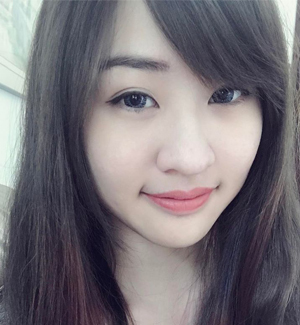 It was hard to differentiate both of them after the application. 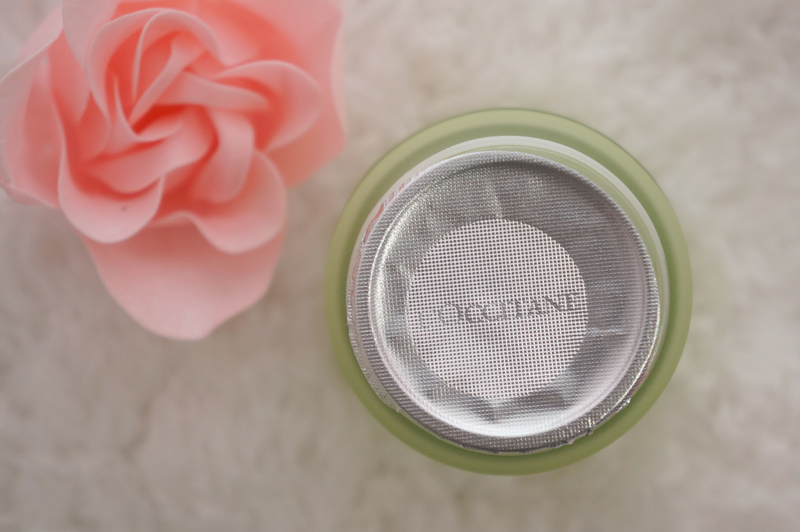 Though one is in cream texture while another one is in gel-like texture, both leave the same green tea scent and cooling sensation after application. They don't leave sticky nor greasy after application. 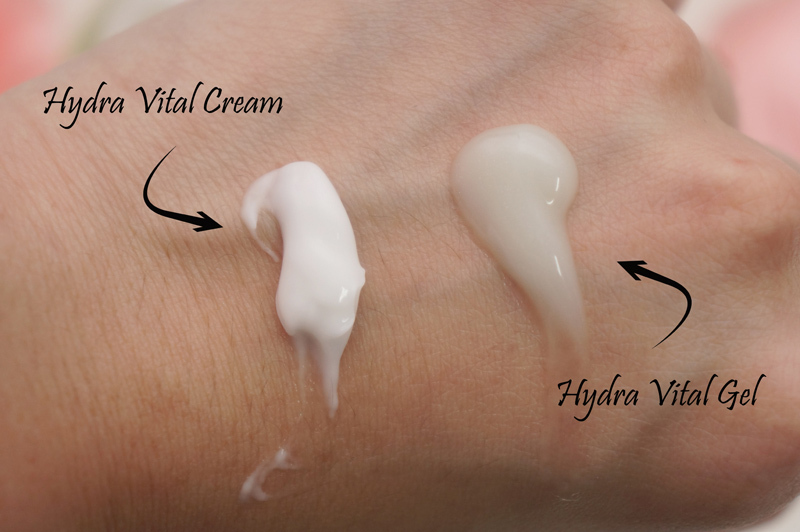 Here's an image of showing the instant result after using the Hydra Vital Gel. The skin on the right is more moisturized compared to the one at the left. The skin also tends to look smoother with less wrinkles on it. 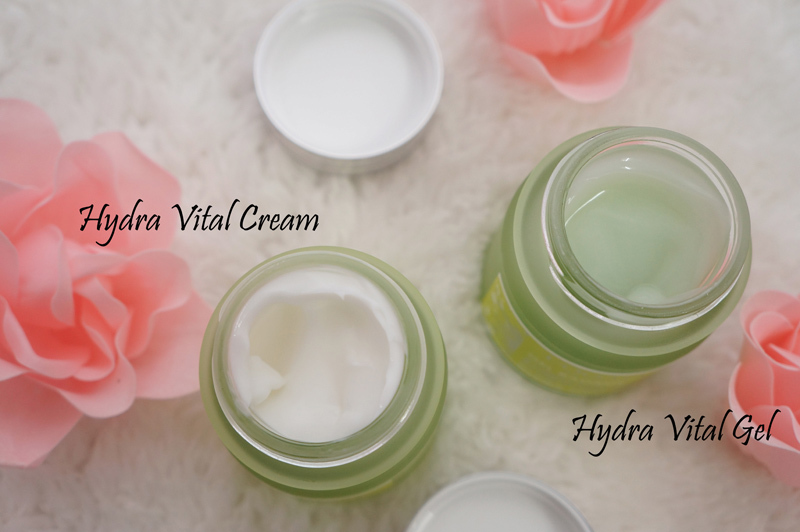 I've been using Hydra Vital Cream as day cream and Hydra Vital Gel as night gel. I spend most of the time in an air-conditioned room so I felt Hydra Vital Cream is able to prevent water loss in my skin. 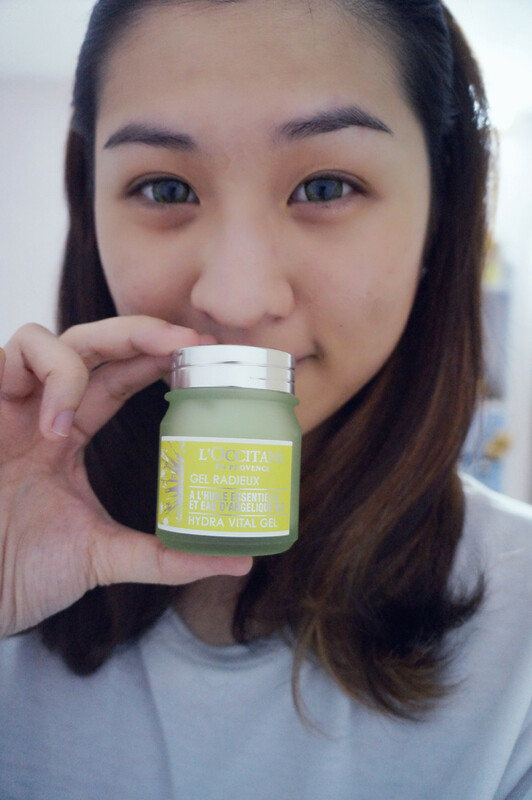 On the other hand, I use Hydra Vital Gel at night to restore skin's natural glow and helps in skin renewal during beauty sleep. Both are relatively good investments because they will make your skin feel alive again. What amazed me is the matte finishing from both moisturizers. I thought the face would feel sticky or greasy after application but these products proved me wrong. Initially I thought these products might not suitable for my sensitive skin but after using them, my skin is getting better and feel more hydrated than before. The only drawback for these products is the price. They can be quite pricey because a bottle is costs more than RM 150. Before I end my review, I have something nice for you girls. L'OCCITANE Facebook is having a giveaway on FREE Angelica sample kit. All you need to do is to use your Facebook account and redeem the sample kit!